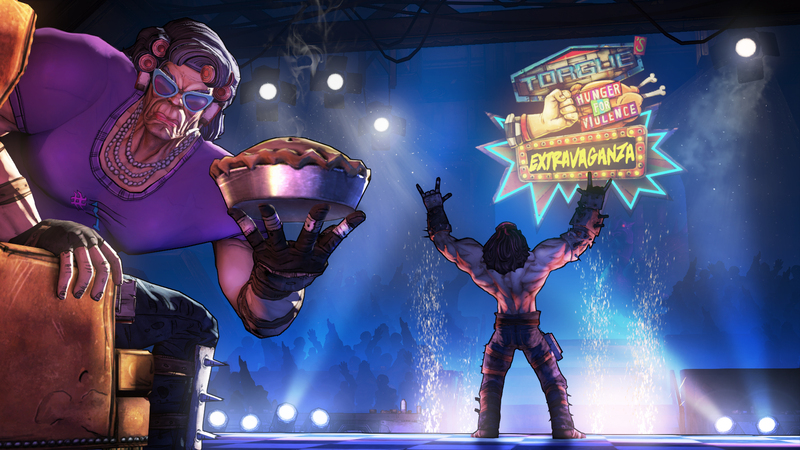 The Ravenous Wattle Gobbler and Mercenary Day are Parts 2 and 3 of Borderlands 2‘s Headhunter series of DLCs. The Headhunter series involves seasonal-themed missions that culminate in a massive boss fight, awarding the player with new character skins, weapons and adding an enemy ‘head’ to their collection. In the humor of Borderlands 2, Ravenous Wattle Gobbler involves Mr. Torgue serving as host of a Hunger Games-esque tournament that requires players to hunt down a monstrous bird. I animated Mr. Torgue, the bandit cooks and the nomad chef enemies for this particular DLC using a combination of mocap data and keyframed animation. I animated Torgue MC-ing during the pregame talk show, opening doors, and transitioning between animations I made and animations he already had from previous DLCs. I animated the enemies idling, chopping up food, and transitioning between other animations. In addition to animating, I also exported and imported my animations in-engine, set up their AnimSets in-engine, and playtested extensively to make sure they were working properly in-game. For Mercenary Day, I made sure that the team’s animations imported correctly and that no bugs resulted from their implementation. I playtested the game as a whole, checking for mesh errors, AI bugs, and other issues.